It will write, format, and audit your resume for you. And it will do much, much, more. More powerful & easier than ever! Create job winning resumes and letters with AutoWriter®. Find jobs, prepare job applications, ace the interview, maximize salary. For Windows 7, 8 , 10, Vista, XP & more. Free iPhone app. Perfect for every career situation: career advancement, career change, returning to the job market, work from home. Overcome employment gaps. Simply choose an example in your profession, then customize with ready-to-use, professionally-written phrases, with keywords that employers are looking for. 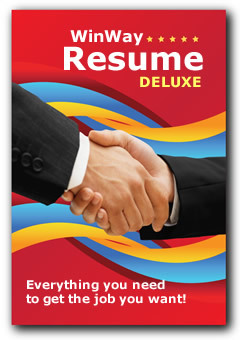 Includes 14,000+ resume examples and 116,000+ job-specific phrases. Also creates persuasive resume cover letters, ad response letters, interview thank you letters, and much more. AutoWriter® offers ready-to-use phrases for your resumes and letters. The new Job Title Matching System cross references 35,000+ common job titles to their respective resume examples and job-specific phrases. From Architect to Zoologist. Recognizes alternate job titles: Lawyer/Attorney, Youth Counselor/Youth Advisor, Paralegal/Legal Assistant. In addition to civilian titles, the program now includes 4000+ military job titles, to help veterans seeking civilian employment. Never miss a networking or job opportunity. When you encounter a new professional contact or a potential employer, send them a crisp looking, targeted resume from your iPhone. Instant access to answers to many job application questions. Don't price yourself out of consideration. Determine the right salary to ask for based on your profession and experience. Prepare answers to typical job application questions ahead of time and without stress. Print a handy job application reference sheet containing employment dates, salary history, supervisor contacts, and other information required by employers. Ensure your job application is correct, complete, and consistent. In this highly competitive job market, employers are fast to dismiss resumes containing errors or inconsistencies. The Resume Auditor® checks resumes and letters for 100+ common errors that can cause rejection. Both layout and content are checked: wrong ordering of jobs, inappropriate information such as age or marital status, employment gaps, date overlaps, missing information, potential discrimination and much more. The WinWay Resume Auditor® provides specific suggestions for improvement and also rates the resume according to the number of action verbs it finds. "What salary should we pay you?" Watch simulated salary negotiation in full-motion video and learn to answer difficult salary questions. Perfect, time-proven answers you can use to boost your next paycheck. Instant access to Twitter job postings – one of the hottest new sources for current jobs. Respond immediately to job postings. Retrieve employer information from LinkedIn and target your resume to specific jobs. In this difficult job market, it is important to make the extra effort and show the employer that you are truly interested in the position and took the time to target your resume to the position. Helps determine equivalent salary in different geographical locations. 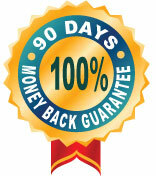 Helps determine the benefits of possible relocation. 350+ attractive themes add a touch of class to your resumes and letters. No special skills required. Simply choose the desired theme and see results immediately. Compatible with MS Word, Adobe Acrobat Reader, HTML and more. Find answers to 200+ difficult interview & salary questions in full-motion video. See the interviewer and interviewee, learn to project confidence and put your best foot forward. After acing your real interview, create a professional follow-up letter, further reminding the interviewer of your skills and abilities. Access current job openings The Job Agent taps leading job search sites and lists current job opening that you can apply for immediately. Powerful contact manager keeps track of potential employers, networking contacts, references and other information. Expert advice in full motion video Learn to create professionally looking resumes and letters, negotiate salary and benefits with confidence. Compatible with Windows 7, 8, 10, Vista, XP, both 32-bit and 64-bit.